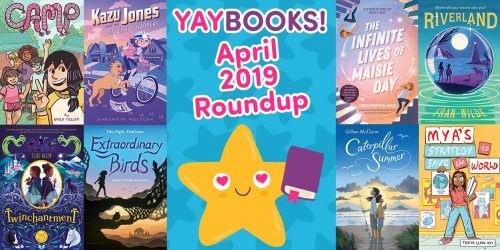 Author Fran Wilde Shares 8 Fun Facts About Riverland | YAYOMG! Riverland by Fran Wilde is a story of sisters, of magical worlds, and of hearts that need healing. 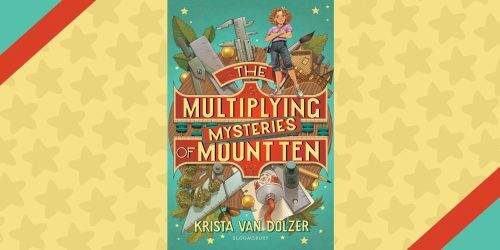 Not every family is picture-perfect, which is why Eleanor tries her best to protect her little sister by sharing stories of magic and monsters to distract her from the anger and aggression going on within their home. When a family heirloom is broken during one of their dad’s fits of anger, a river begins to run through Eleanor and Mike’s special hiding place under the bed. Together, these sisters will embark on an life-changing adventure. Once upon a time, there were two sisters who rescued each other. We adored this beautiful read. It’s a little bit dark and sad at times, but it’s filled with hope and fascinating creatures made of re-purposed items. 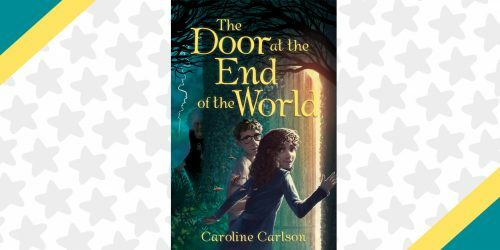 Fantasy lovers will love exploring this intriguing world alongside Eleanor and Mike, there’s so much to discover. 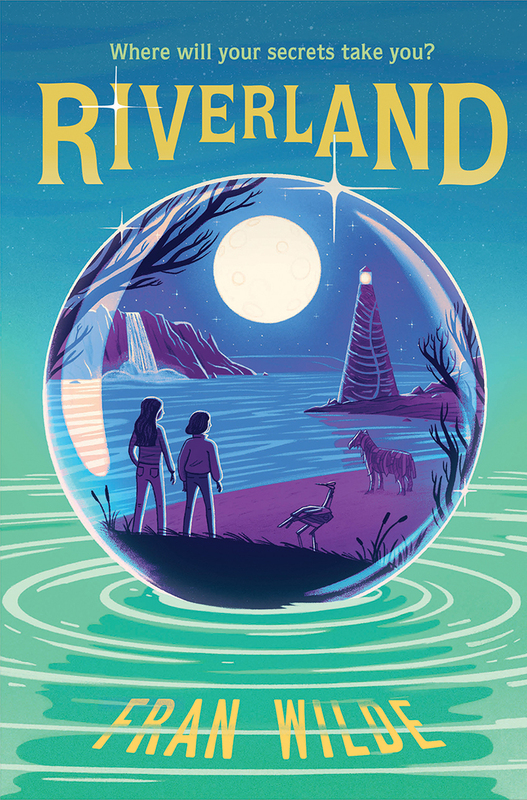 We’d also recommend Riverland for readers who enjoy stories that tackle life’s more challenging, messy moments. 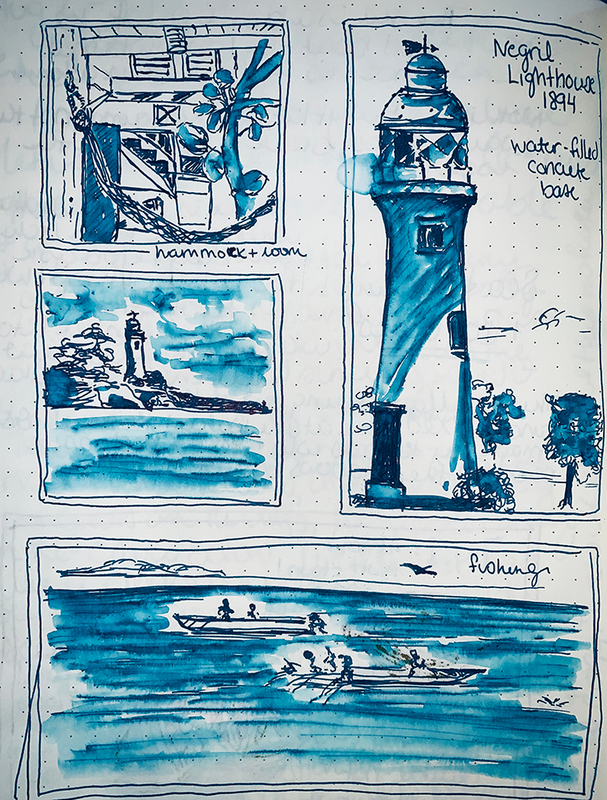 We’re so excited that author Fran Wilde shared 8 fun facts about the Riverland, including a glimpse into the gorgeous, illustrated journals she kept while writing the book. 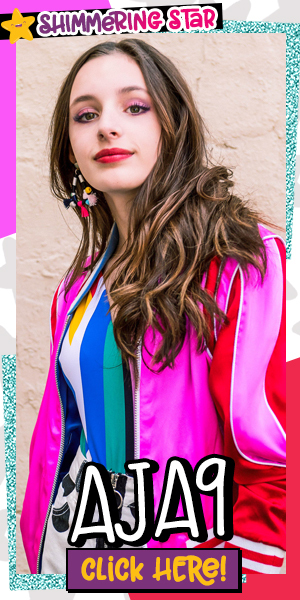 She also asks some thought-provoking questions that would be perfect prompots for your own storytelling and journaling adventures. Both sisters in Riverland — the main character Eleanor (who is 12) and her sister Mike (who is 7 and whose real name is Mary, but everyone calls her Mike, except her dad) — love to tell stories. The scarier the better! Ones with trolls and witches and magic. Mike asks early on why stories start “once upon a time” instead of “someday” or “tomorrow,” and Eleanor answers that they’re a lot safer if they’ve already happened! What stories would you tell that start “once upon a time?” which ones would you tell starting with “someday”? One of the main characters in Riverland, a heron, is made of beach glass and driftwood. There are crabs made of cast-off metal. And there’s a very special pony, named Dishrag, made of old towels. Every cast-away object gets a second chance in the dream part of Riverland. What kind of animal companions would you make, and with what, if you could recycle anything? I’ll tell you a secret about Dishrag, the pony in Riverland. My own sister (her name’s Sue!) and I always wanted a pony. We rode some a little bit at summer camp, and later on the beach in the country where my sister lives now (New Zealand — all the way on the other side of the planet! ), and we loved them so much. They’re big and powerful, but also very patient and soft and nuzzly and somehow just the dream of having a pony made a lot of sense, even if we didn’t have a place to keep one of our own. Now that I’ve got Dishrag as an imaginary pony of my own, I feel like part of this dream has been taken care of! What kinds of impossible dreams do you have, and how might you write them into being? Part of Riverland takes place in the real world, and part takes place along a river where dreams and nightmares grow. Dreams have their own lifecycle on the river, from the moment they’re ready to fly — as tissue-paper puffs — until they turn into bigger birds. Where do you think your dreams might come from? There’s a very important lighthouse in Riverland that Eleanor and Mike use to get in and out of the dreamworld. Its light comes from a number of different sources. To learn more about lighthouses, I visited several, including the Cape May lighthouse in New Jersey, and the Pigeon Point lighthouse in California. 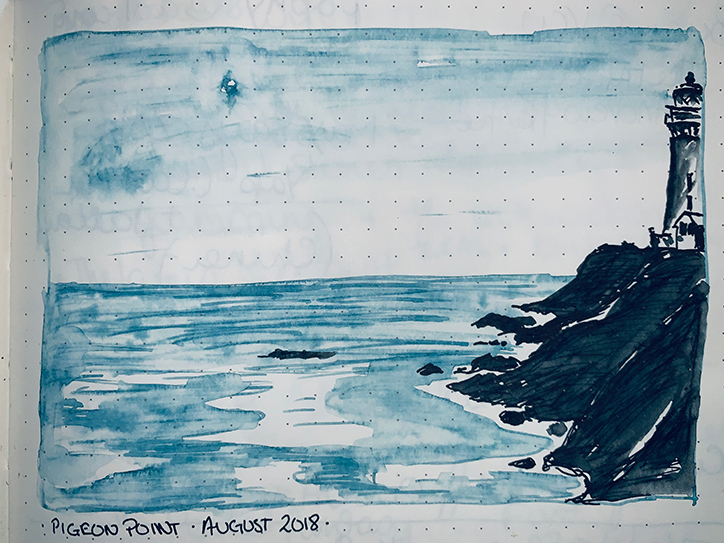 I learned about Fresnel lenses, which focus and amplify light in order to make it go farther out to sea to help sailors find their way home safely, and I talked with a lighthouse expert to make sure I was dreaming up a fairly realistic lighthouse (although a strange one!). 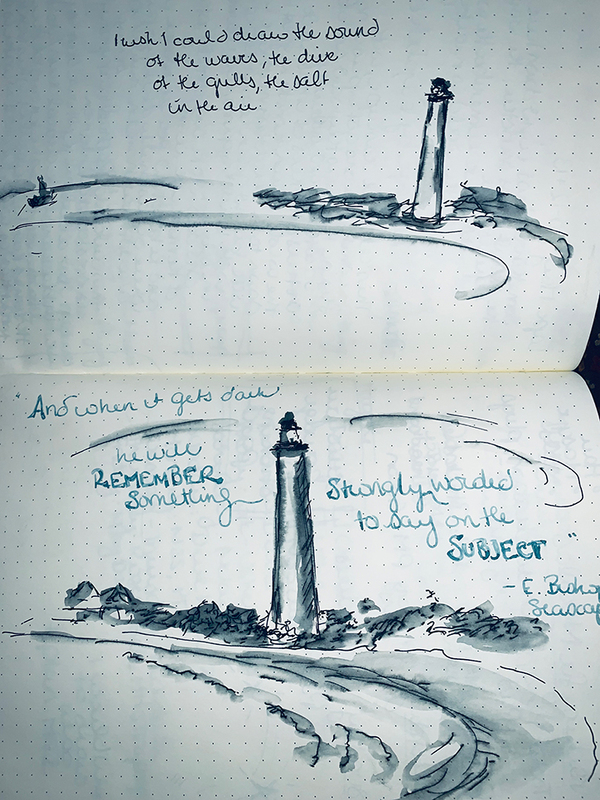 Doing that research was so much fun, and I ended up drawing a lot of lighthouses in my journals along the way! When I first started writing Riverland, there were a lot of puns in the first draft. The puns were silly (a bunch of them were about socks, and there aren’t a lot of socks in the final version of the book) — and they helped me get the first version of the story onto the page. I drew a lot of maps to help me figure out the geography of Riverland. 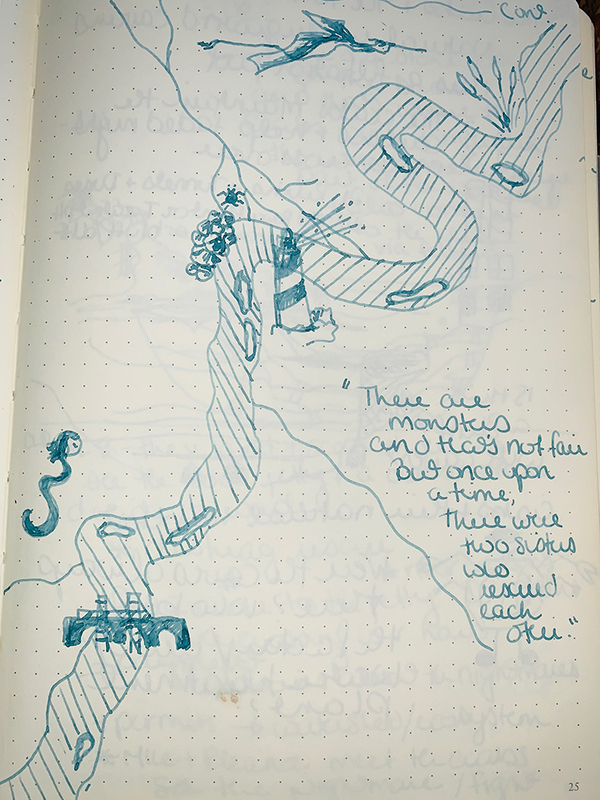 I drew them in my journal, using an old fountain pen a friend gave me. On the maps, I marked important places for the characters — both Eleanor and Mike, and the Heron, Dishrag, and the others. The maps ended up being really important later, when I went to revise the story, because I could see where I’d been. What kinds of maps do you like to draw? There’s a magical object in the book called a “witch ball” that was actually once a real tool for fishermen. Glass balls were once used a lot to help float fishing nets — and I can imagine how beautiful they must have looked to fish when seen from underwater. In order to learn more about how hard they are to make, I visited a glass blowing school and ended up making some glass of my own — it’s really hard! But worth it because the results are beautiful. The things I learned on that trip wind up in Eleanor’s science fair report, and I’m so glad I learned them! 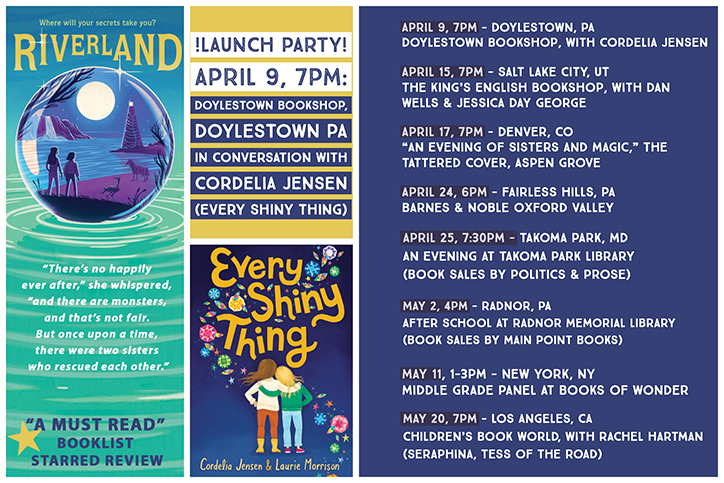 If these Riverland facts have you eager to learn more about the story, be sure to catch Fran Wilde on her book tour at the dates above. Riverland hits shelves on April 9th from Amulet Books. If you’re looking for another fantasy story featuring sisters, we think you’ll love Eventown by Corey Ann Haydu!